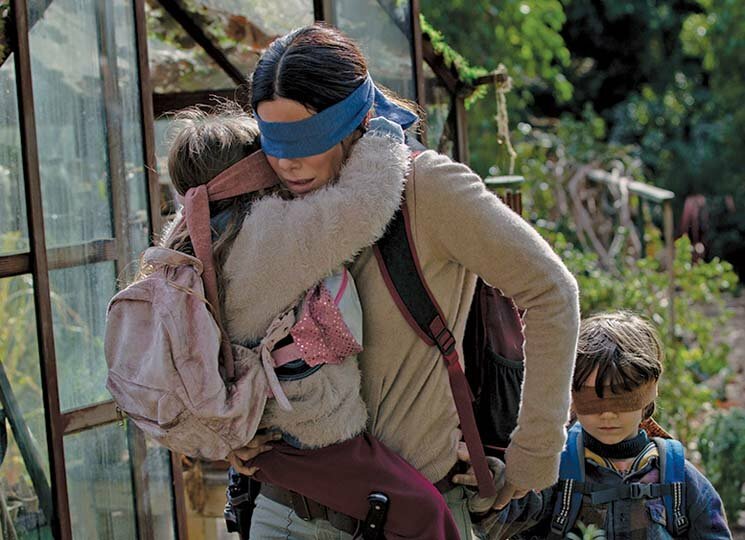 Earlier this month, Netflix apologized to residents of Lac-Mégantic, QC, for using footage of the 2013 rail disaster in its original film Bird Box. After Netflix announced it had no plans to remove the footage, Canada's Parliament is now putting pressure on the streaming giant to do so. As the Associated Press reports, members of Parliament passed a motion yesterday (January 30) saying Netflix should compensate town residents for use of the footage. New Democrat Party legislator Pierre Nantel, who introduced the motion last week, told AP, "We know people are going to go and watch this film, and again these real images will be used. For people in Lac-Mégantic, they saw images of their own downtown burning, and could imagine their own family members in it." AP adds that Netflix refused to comment when reached, pointing to its letter sent to Quebec's culture minister earlier this month. In the letter, Netflix director of global public policy Corie Wright said the company was not aware of the source of the footage, writing that the company "understands that many feel frustration and sadness at seeing images of this tragic event," but cannot change "finished content." "We apologize to the Lac-Mégantic community and to Netflix members who were saddened by seeing this footage," she wrote. "We sincerely apologize and had no intention to dishonour the tragic events of 2013," Peacock Alley president Carrie Mudd wrote to the Canadian Press in an email. "We are already working to replace the footage in the show."